Ernest Facts Archives - Hey Vern! It's Ernest. 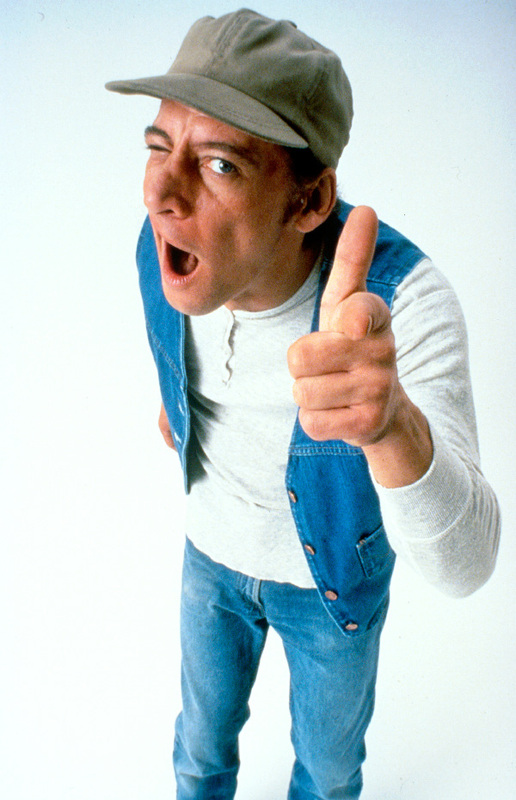 The character Ernest P. (for Power Tools) Worrell was invented in 1980 during a creative meeting at Carden & Cherry Advertising in Nashville, Tennessee. Agency partner and executive vice president John Cherry was searching for a way to promote an aging amusement park in Kentucky that was scheduled for renovation but was not yet presentable. To meet his client’s needs, he had to promote the park without showing it. Thus was born a pushy, know-it-all character who would tell his neighbor Vern all the good things about the park. He had to be intrusive but lovable, since the viewer would be looking at him instead of roller coasters filled with screaming kids. The amusement park went under faster than the commercials could play out, but the ads were kept on an agency “demo reel.” Executives at Purity Dairies, a long-time Carden & Cherry client, liked the humor of the character and convinced Cherry to make new spots for their middle Tennessee markets and for Pine State Creamery in North Carolina. This was a humorous sequence of events detailed in Cherry’s book Keeper of the Clown. At first, the visually startling ads – filmed with a wide-angle lens to further distort the actor’s rubber-faced features – caused a negative stir in both markets. But as the public caught on to the humor, people began calling their local TV stations to ask when the next “Hey, Vern!” commercials would be shown. Humor, usually to the point of slapstick, was used to entertain viewers. The theory was that when people want to watch a commercial, they will remember the product. It worked. As packages of Ernest TV and radio ads were sold market by market across the country over the next several years, advertisers were amazed when surveys revealed extremely high recognition of both their products and the character. Cherry recounts the story of choosing actor and comedian Jim Varney to play Ernest in his memoir Keeper of the Clown. With Varney’s incredible talent and amazing ability to memorize scripts, Carden & Cherry became a syndication machine, churning out hundreds of commercials each year. Clients ranged from Sprite (in available markets but not nationally) to car dealerships to convenience stores to TV stations to banks (including a chain in Hawaii). This success allowed Cherry to produce a TV special called “Hey, Vern! It’s My Family Album” that he would sell independently to stations in hot Ernest markets. It was a showcase for Varney’s talent in becoming other characters and doing impersonations, as he played all the major characters in the special. That emboldened the Carden & Cherry crew to pursue a dream of long-form filmmaking – making movies. Cherry and Varney decided to make a non-Ernest film first: Dr. Otto and the Riddle of the Gloom Beam. Financially, that was not really the best decision. But Varney’s appearance as Ernest in the Indianapolis 500 parade caught the attention of Disney executives. Ernest ads were not yet running in the Los Angeles area, and they were shocked as raceway fans stood to cheer “Hey, Vern!” The story of how these executives lured Cherry to New Orleans to discuss a movie deal is hilarious and told in detail in Cherry’s memoir.